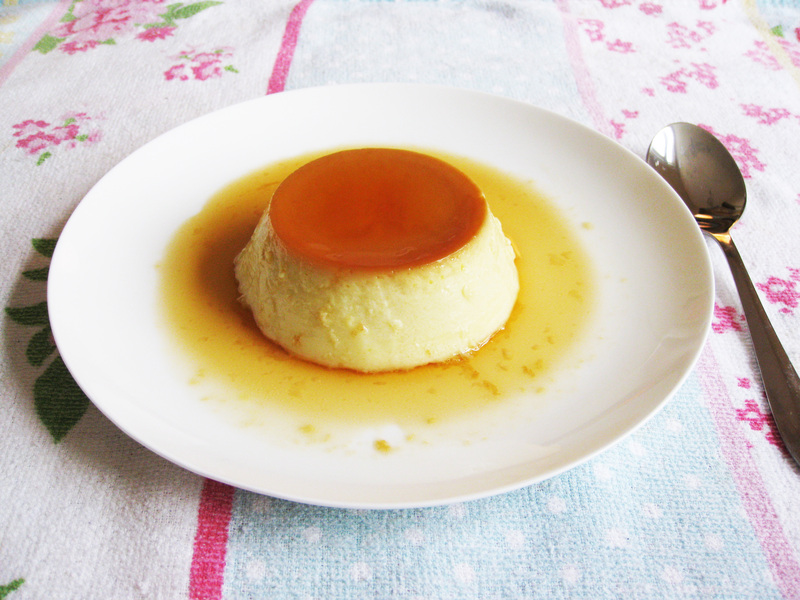 When I was young, I loved Crème Caramel. I adored the taste and texture of the slightly burnt caramel against the soft, vanilla custard. Sometimes when we went to visit my granny, we’d go out for lunch. She had a favourite restaurant that we invariably went to – and they often had this on the desserts trolley. (They also had steak for 75p extra – which my father always let us have when he was able to join us.) Happy times! 1. Preheat the oven to 150°C/300°F/gas 2 and grease four 250ml/9fl oz/1-cup ramekins with dairy-free margarine. 2. Put 125g/4½oz/heaped ½ cup of the sugar in a heavy-based saucepan and add 3 tablespoons of water. Shake the pan gently to incorporate the water into the sugar. Heat over a medium-high heat for 6–8 minutes, without stirring, until the sugar has turned a deep golden brown and caramelised. Make sure you don’t leave the sugar for too long as it will turn dark brown and burn. Pour the caramel mixture equally into the ramekins. 3. Meanwhile, pour the dairy-free milk into a saucepan and bring to the boil over a medium-high heat. Remove from the heat and pour the dairy-free milk through a sieve into a bowl. 4. Using an electric mixer, beat together the eggs and egg yolk, the vanilla extract and the remaining sugar in a large mixing bowl, until pale and thick. Add the strained milk and beat thoroughly. 5. Divide the mixture into the ramekins and put them in a large baking dish or roasting tin. Pour enough boiling water in to the dish to reach halfway up the sides of the ramekins. Bake for 30–35 minutes until firm to the touch and starting to turn golden. 6. Remove from the oven and leave to cool completely. Cover with cling film and leave to chill in the fridge for at least 12 hours. Serve cold.